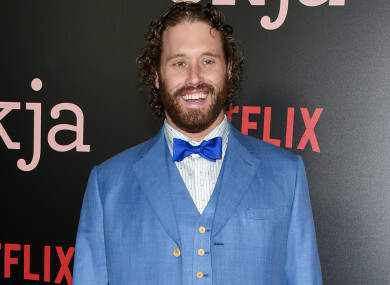 ACTOR TJ MILLER has been charged with calling 911 to falsely claim that a woman on the same train as him had a bomb in her luggage. Federal prosecutors in Connecticut say Miller was released on $100,000 bond after an initial appearance in federal court in New Haven today. The former Silicon Valley actor and comedian, who stars in the Deadpool superhero films, was arrested in New York yesterday. Prosecutors say Miller called in the false bomb information on 18 March after getting into a verbal confrontation with a woman on a train traveling from Washington DC to New York. The train was stopped in Westport, Connecticut, where it was searched. No explosives were found. The public defender who represented Miller today did not return a call for comment. Email “Deadpool actor charged with making false bomb report on train”. Feedback on “Deadpool actor charged with making false bomb report on train”.